Sometimes life throws you a curveball. That’s exactly what happened on the return leg of our dog rescue flight to Morristown, NJ. Here is the audio of that in flight emergency. 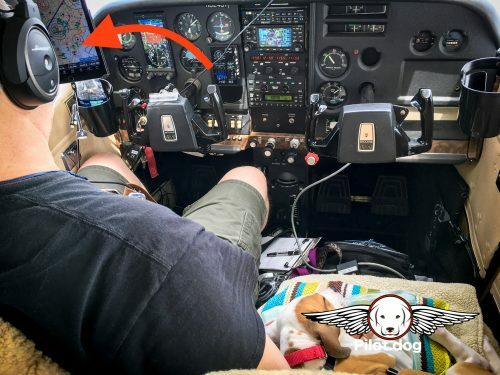 While returning to Raleigh, NC from Morristown, NJ we were flying just above the clouds at 10,000 feet when we suddenly started losing all oil pressure. 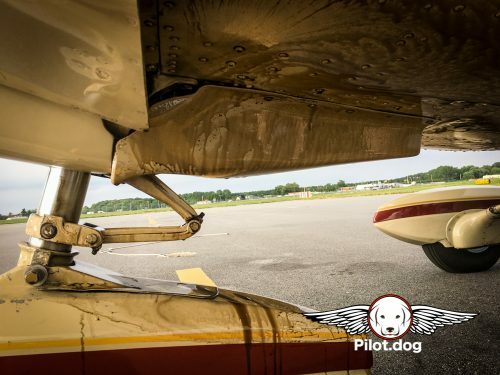 The immediate concerns was if the engine in our Cessna 182 would seize and we’d suddenly become a glider. When the oil pressure dropped to 0 it was a real possibility. The arrow points to the location where our average flight took a turn for the worse. You can see the steepness of our descent to the airport in this image. The arrow points to the moment we headed for the field. The entire experience wasn’t a tragedy. 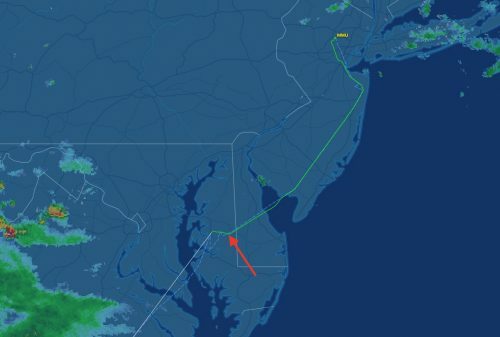 The Air Traffic Control system operated well, emergency services was on the spot, and the people at Easton Airport with Maryland Air were so caring and kind. And it reinforced the awesomeness of the the new glide advisor update in the Foreflight software Steve uses in flight. You can see his iPad in the picture below. 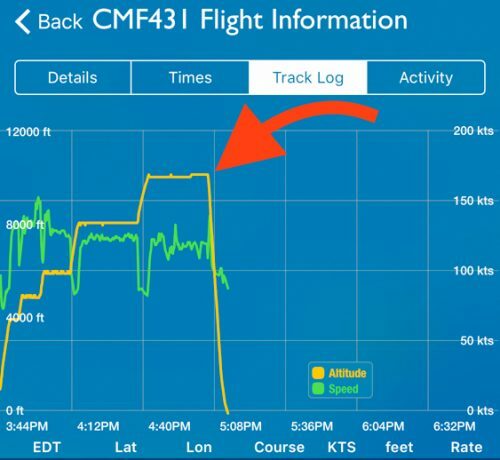 The Foreflight software provides a lot of information during flight but in this case it helped Steve always know the airport was in range if the engine completely quit. 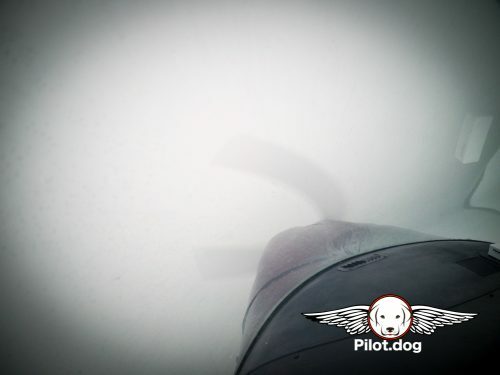 Most of our emergency happened as we descended through 8,000 feet of solid clouds. On this flight we had eight dog passengers who all uneventfully made it from Raleigh, NC to Morristown, NJ on the first leg. The 62 pound momma dog was a bit of a chicken and wanted to sit on Pam’s lap. 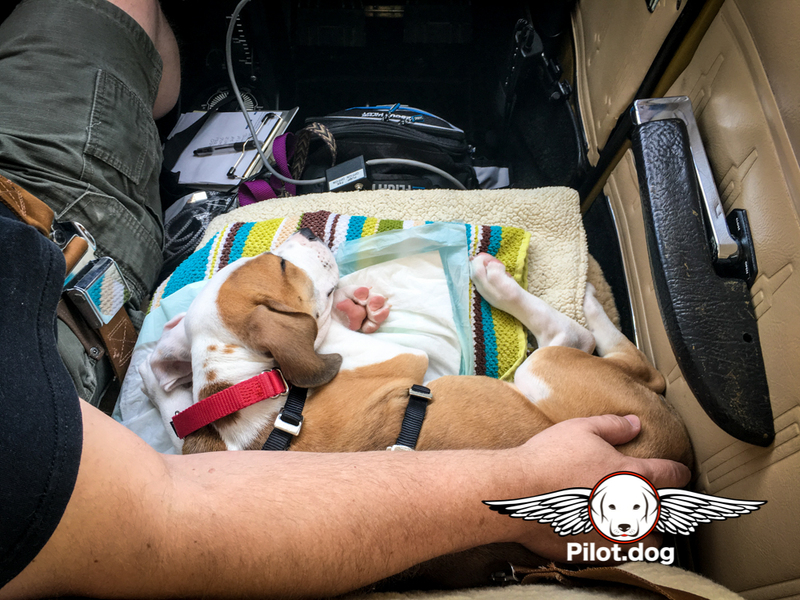 One of the pups rode up with Steve as the co-pilot. 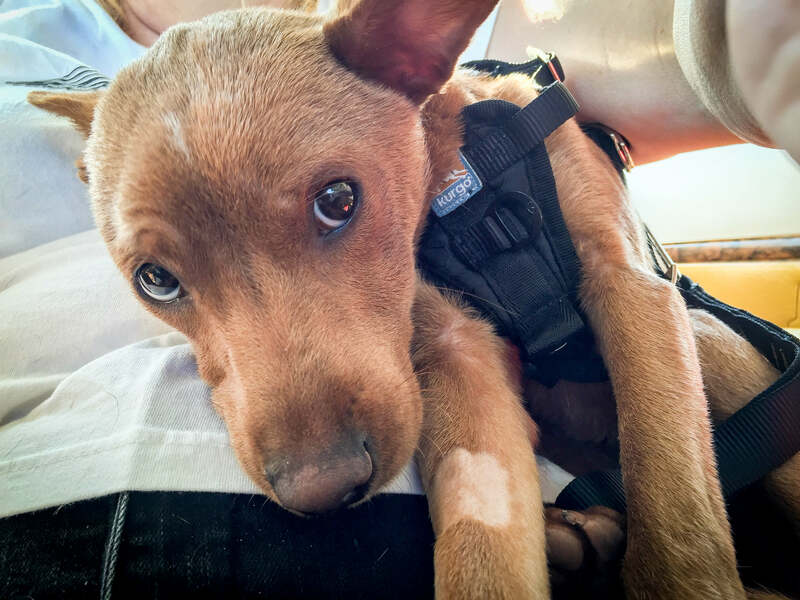 This dog had been left by its owner in the after hours drop box at a local shelter. The rare and unexpected issue had been caused by a single gasket failing. The gasket was located near the oil filter so almost all our engine oil had jumped overboard as we began our emergency descent to the airport. What we found after we landed was a big dripping mess under the aircraft and the trail of oil to our stopping point. After we landed and turned off the runway were were greeted with a fire truck coming at us. Steve made a quick turn to get out of it’s way since he didn’t want to block the engine from where it was headed. It didn’t occur to him it was headed for us. 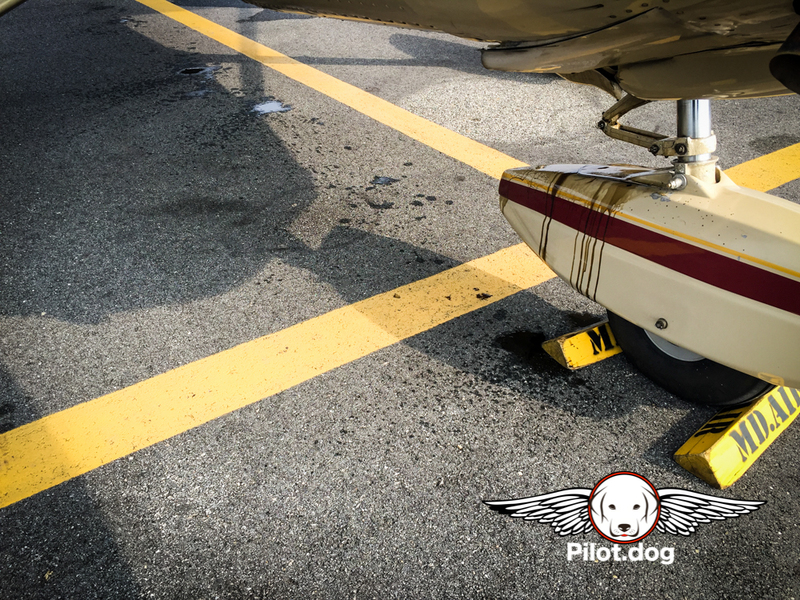 This event just reinforces that all dog rescue pilots can face an unexpected life altering event while doing good things. 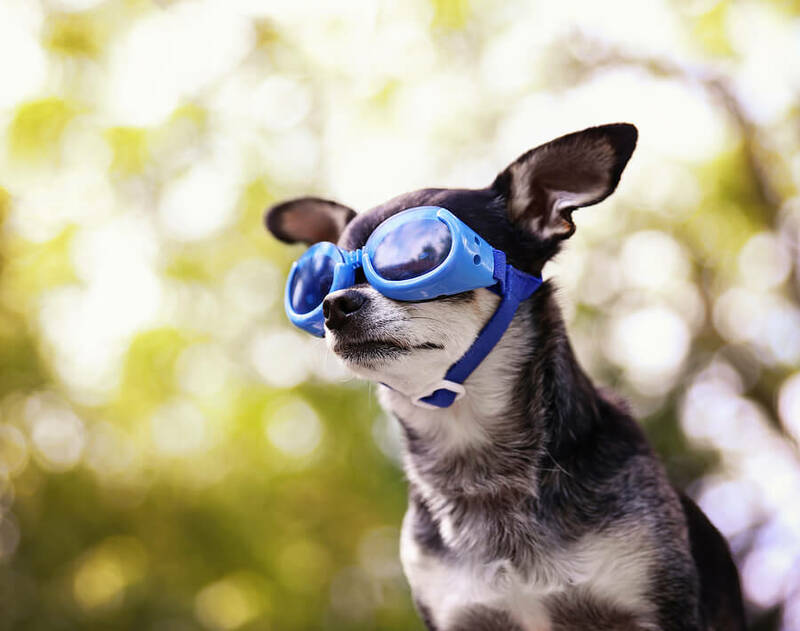 Flying is fun but serious and you always have to be prepared for the worst. Up until now the worst was always just really bad dog farts. This episode now tops all of that. Glad you are all fine and great job on keeping a cool heat. You handled what could have been a disaster. Thank the good Lord you were all safe! God watches over such good people! Steve and Pam — I watched your video of the emergency landing and my stomach was in my throat. 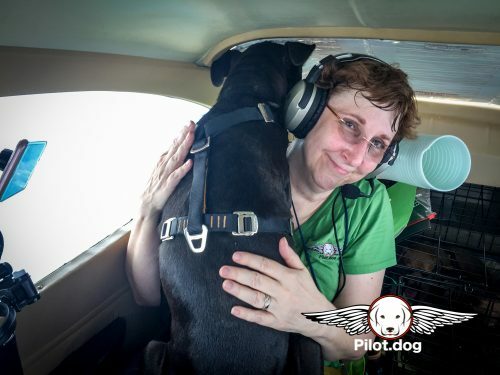 I am so glad the pilot dog angels were watching over both of you. Hope you get your plane back as soon as possible. Happy and safe flying. you did what is the cardinal rule “1st fly the plane” then the other “what ifs” are secondary. Glad all souls are well. So glad everything was okay in the end and there was an airport nearby. You are a very skilled pilot. Great job handling this and getting you and Pam back on the ground safely.